As usual times before Christmas are really busy, and i mean not only going to the Christmas Markets with friends to drink punsch and gluehwein… Went to Berlin a week ago to give a presentation on screen recording in educational context at the Educa, I really enjoyed the conference: lots of interesting talks, people (Moodle is still ‘in’ :) and a very international audience. 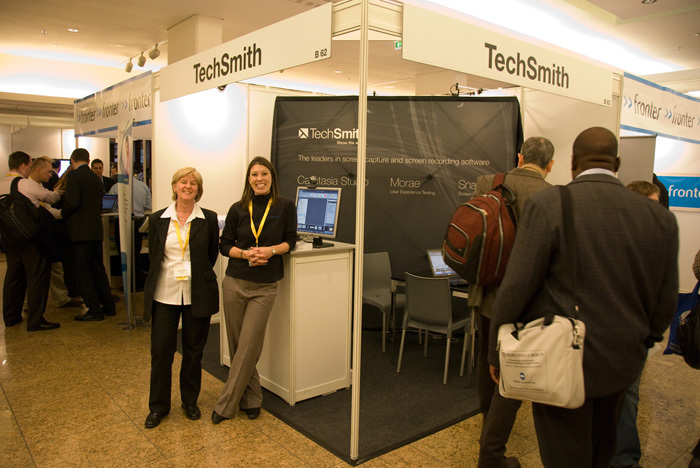 Met the product manager of Camtasia there, the software is done by Techsmith – we use that a lot in Hagenberg. Even I did not have enough time to explore Berlin, I had good times and I should go there again! Flickr Tag Error: Call to display photo '3096661762' failed. Flickr Tag Error: Call to display photo '3104069219' failed. Flickr Tag Error: Call to display photo '3104902700' failed. Flickr Tag Error: Call to display photo '3094051502' failed. Random stuff about Linz: The ars electronica museum seems to get ready: It opens January 2nd and lately they are testing the led-façade and it looks awesome, seems like every glass panel can be lit in different colors. 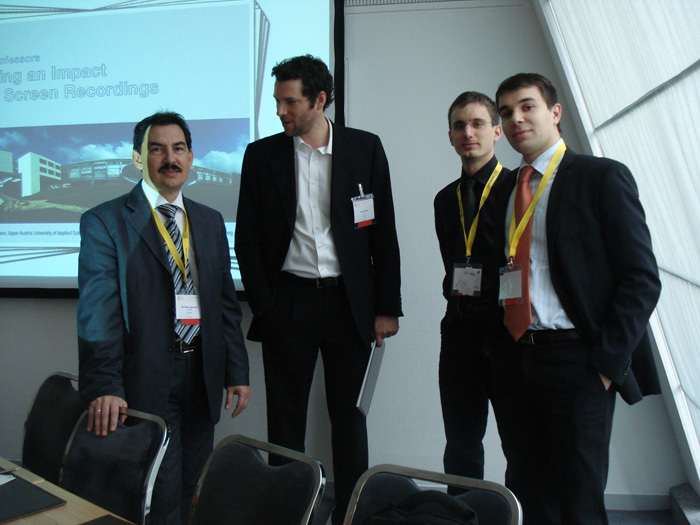 I AM looking forward for Linz 2009! Flickr Tag Error: Call to display photo '3107042847' failed. Flickr Tag Error: Call to display photo '3107042419' failed. Flickr Tag Error: Call to display photo '3107041989' failed. hm .. ist das Klaus neben dir? Btw, Linz wird ja ordentlich aufgedonnert! !